The Overholser Mansion is open for tours Tuesday-Saturday, 10am-2pm. Tours begin at the Carriage House, just west of the mansion. 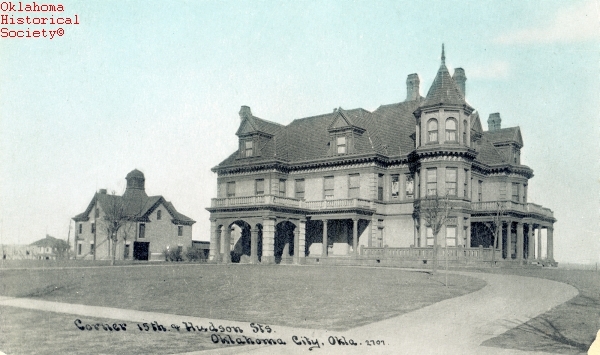 The Overholser Mansion is owned by the Oklahoma Historical Society and managed by Preservation Oklahoma, Inc. The Overholser Mansion is closed on all major holidays and during inclement weather. The Overholser Mansion will be closed for tours, Saturday, April 20. Mysteries of the Mansion Tour and Urban Campout tickets now on sale! Find out about the history of the Overholser Mansion, the Overholser family, and the house as it exists today. Visit the Overholser Mansion, Tuesday-Saturday. Tours are given every hour on the hour from 10am to 2pm.